receive a fair and full recovery. We offer Free Consultations and Free Case Evaluations. Our Rapid Response policy means you can expect help as soon as you call. Horn Law offers multiple Kansas City area consultation offices. Home, hospital, and other meeting locations can be easily arranged by calling 816-795-7500. When requested, Attorney Doug Horn can make arrangements to visit your home or hospital room in order to provide free legal consultation. Our top priority is to obtain a fair and full settlement for our client, including compensation for past, present and future medical expenses, loss of income, and all personal damages. My name is Doug Horn, a Kansas City area Accident Injury Lawyer, who has devoted his entire legal career to helping injured people maximize insurance settlements. Although I concentrate in cases arising from car, truck, and motorcycle collisions, our law firm has a track record of success in a wide variety of personal injury claims. When Horn Law is called upon to help a person who has been injured, our first priority is to resolve the issues that require immediate attention. We want to make sure our client is receiving the best possible medical care, the insurance claims are properly filed, the accident investigation is complete, and the evidence is being preserved. In the initial consultation, we explain the “ins and outs” of the insurance claim process and explain how we will obtain a fair & full settlement that will fully compensate our client. After we have a complete understanding of the facts and circumstances surrounding the accident injury, we can initiate legal representation. In most cases a highly qualified personal injury lawyer is necessary to ensure the settlement is large enough to cover the client’s medical bills, lost income, and all of their personal losses. 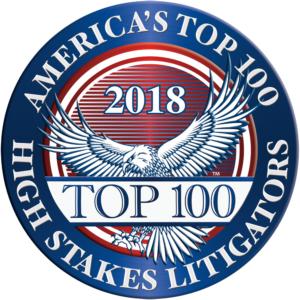 The Horn Law team has had a long lasting track record of success and maximum compensation for its clients through the strength of its highly proficient team members – Owner Doug Horn and Lead Litigation Attorney Laurie Del Percio. With a full support staff, Horn Law can ensure your case will receive the care, attention, and results you deserve. Because selecting a personal injury lawyer and law firm is an important decision, we invite prospective clients to visit the Choosing An Injury Lawyer page for more information. initial consultation and case review appointments.